Activists and environmentalists lead the struggle to protect water sources across the planet, from the top of the continents of the Americas in Alaska all the way down to Argentina. Often, their activism is dangerous work. 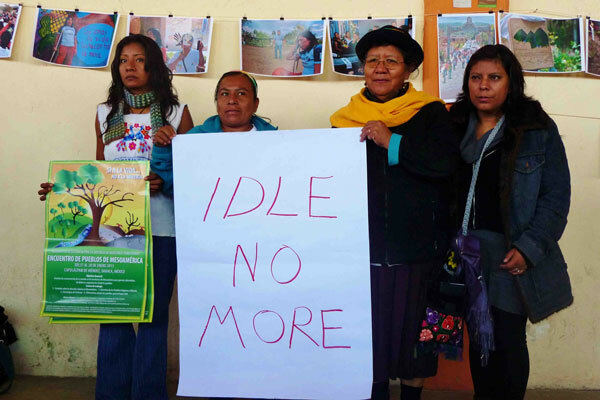 Resistance movements against unwanted hydroelectric dam projects, in particular, have seen a violent crackdown, with more than 40 activists killed in recent years in Mexico, Central America and Colombia, according to GeoComunes. 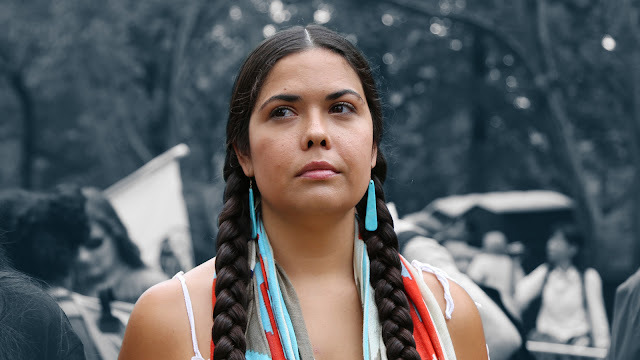 On World Water Day, Here are five activists putting their bodies on the line to stand up against corporations and defend clean and accessible water for all. 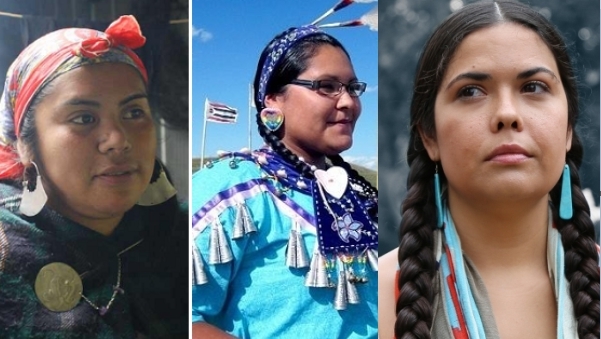 1- Champa Seyboye, United States: Hundreds of Indigenous women have joined the fight to halt the construction of the Dakota Access pipeline in the United States in the name of protecting water sources such as the Missouri River, an essential source of water for the Standing Rock Sioux's community. 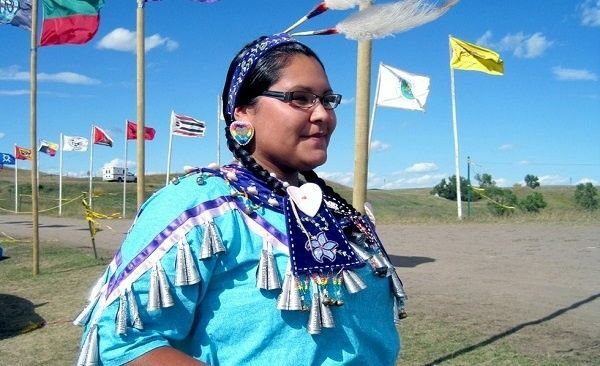 Champa Seyboye has been part of the struggle to protect water and stop the pipeline. We all deserve clean water, we shouldn't have to fight with our teeth and our nails constantly to get something that Mother Earth provides for us," Seyboye told EcoWatch. Since last year, the Standing Rock Sioux Tribe, together with solidarity from other communities and international groups, have opposed the construction of the US$3.8-billion pipeline, to transport hundreds of thousands of oil barrels every day across the U.S.
2- Tara Houska, from the Ojibwa Nation, says this gathering of tribal nations at Standing Rock is unprecedented since Wounded Knee in 1973. "I can tell you that on the ground people aren’t leaving. The 2,000 now upwards of 4,000, when folks come in that actually live on Standing Rock, they come in on the weekends we’re talking a massive encampment of Native American people that are saying no more. And those people we know how to camp. We know how to live off the land. We know how to be in a winter camp. There are people from all over that have come there to bring their skills and bring their tribal cultural knowledge to share with each other. And these folks are not leaving. They want this pipeline; this has become more than just a pipeline. This is a stance for indigenous rights. These people are willing to die to stop this pipeline." said Tara Houska. 3. Juana Cuante, Chile A an Indigenous Mapuche Williche woman from an ancestral village of southern Chile, Juana Cuante, defends her community in the face of a contested hydroelectric project. She has publicly taken a stand in defense of the Pilmaiquen River and the ceremonial complex Ngen Mapu Kintuant. She has even vowed that her movement will defend the territory with their lives. Chilean authorities have approved the controversial environmental studies done by Pilmaiquen Electric Company, the firm behind the project. 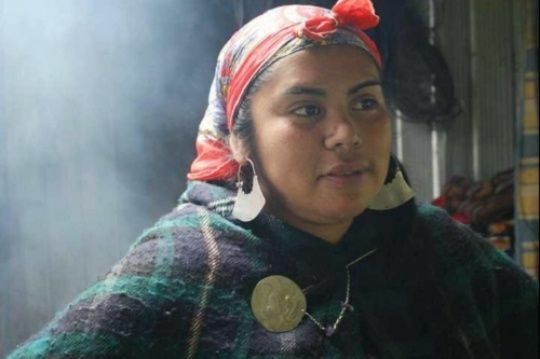 Cuante has reported human rights violations by companies and the Chilean state before international bodies, as well as participated in social, cultural and environmental events to raise awareness about the right to water and Indigenous self-determination. 4. Silvia Carrera, Panama The first woman chief of the Ngobe Bugle, an Indigenous zone in Panama, Silvia Carrera has led the judicial and social fight to protect water in one of the most business-focused countries in the world. She leads the resistance movement that has blocked for years hydroelectric dam and copper mining projects on Indigenous territory, and especially the Tabasara River. 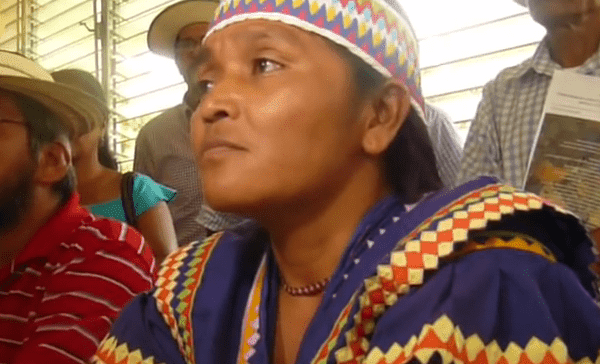 She has represented her people in negotiating with the government for respect for Indigenous rights and self-determination and has become a symbol of dignity and inspiration for Indigenous women in Panama and across Latin America. 5. Carmelina, Mexico One of the most important leaders in the Movement of the Indigenous Peoples for the Right to Water in Mexico, Carmelina is an inspiration for her community as well as an example of strength. "I come from a family in San Antonino, Oaxaca, which was always characterized by advising and supporting people. All the people of the village came to our house and my grandmother welcomed them with doors open," Carmelina told Oxfam. She promotes and fights for the rights of the Indigenous and Afro-Mexican people, a struggle she began when she was young. "I am the daughter of peasants. From my childhood, I worked the land. I know what is suffered and also what is enjoyed in the field," she said. "Today we struggle to protect water, so that we can continue to use it as a source of life and that children in the future don't lose it." Carmelina believes that only by working in unity can communities fight for improved access to water and dignified livelihoods in the name of combatting inequality. Responses to "5 Water Protectors Defending Rights from North Dakota to Chile"